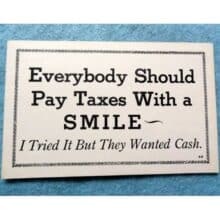 Greetings on this Monday, April 15, 2019. 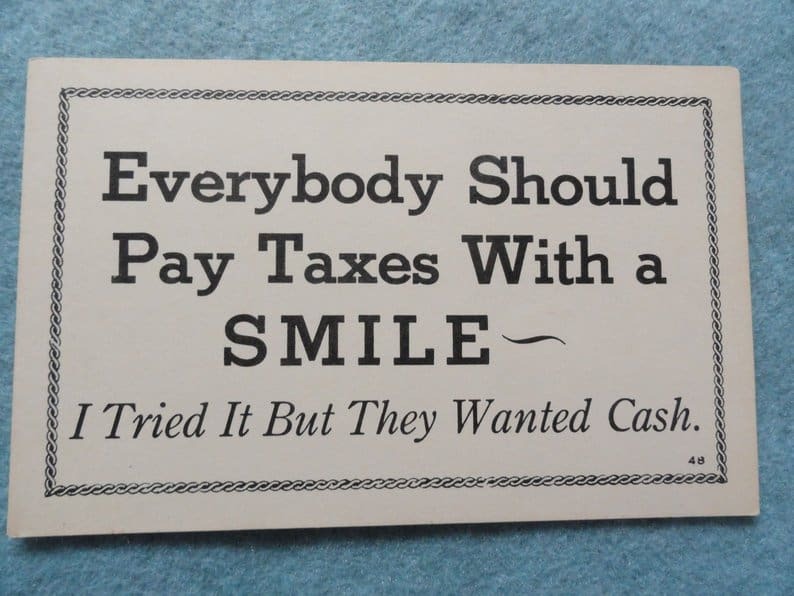 The vintage postcard Everybody should pay taxes with a smile … is for $5.99 and add a dollar for shipping over on Etsy. 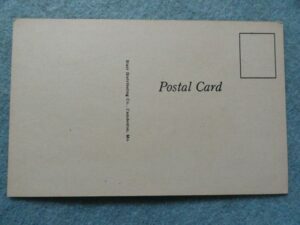 Furthermore, given it is only showing one of these postcards in stock, I’m including an image of the back of it too. As a reminder, there is still time for getting Easter cards and letters into the mail. Here’s to a special week ahead! See you tomorrow for my Tuesday blog post.